bi-plane and one of the most successful fighters of the war. Two Birds With One Stone depicts an engagement on September 6th, 1918, in which Captain H.P. Lale and 2/Lt. H.L. 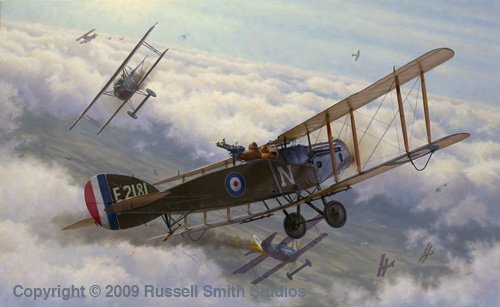 Edwards achieved simultaneous victories against Fokker DVIIs while flying Bristol Fighter E=2181.